When renting a car in The United States, it makes sense to have adequate insurance coverage for the vehicle. Given there are a number of options available, it can pay off when comparing and contrasting the different types of insurance, so that you can work out what option best fits your need and at the right price. Often times, the credit cards in your wallet will include a certain level of collision coverage for your rental car. By choosing the best fitting credit card to pay for the rental, you could end up with adequate coverage with zero deductible, or at minimum a pretty low deductible. This is in contrast to high cost of insurance through the car rental companies. If you play your cards right (pardon the pun) you’ll potential be covered for some of the biggest costs that you might be liable for, for example; damage to the car, or even a theft. One issue that can sometimes arise with the use of this method of coverage of a rental car is that credit card companies aren’t necessarily a hassle-free type of company to deal with, especially when it comes to claims. Regardless, given how much money you could potentially save if you were to have an accident, it’s a logical decision to at least consider the use of credit cards for the coverage of your rental. Be sure to double check that your credit card company offers this sort of coverage, given some do and others don’t. Read through the policies regarding what is actually covered, and make sure it is applicable in The United States – or any country you plan to visit for that matter, as there can be exceptions. In some cases, you may also have collision coverage included via your travel insurance company. If you have purchased a travel insurance policy for your upcoming trip, many travel insurance companies in The United States, include the option of adding on insurance for your car rentals or even include it as part of the policy proper. Though, again it is important to double check what is actually covered in the policy and if there are any important exceptions such as windscreens or hail damage, and be careful to check that the rental company you have booked through will actually accepts travel insurance as a valid method of coverage. Most will now days, though we’ve heard plenty of stories where major rental companies have forced travelers to purchase the rental companies own coverage. That’s leads us of course to the option of buying your rental insurance directly from right the car rental company. This is something they are well trained to encourage you to purchase, and is an important revenue stream for them. Even though it’s by far the most expensive solution, it is relatively simple given you can do at the point of sale online or directly at airport pickup counter. The cost of this collision damage waiver (they technically don’t call it insurance) through the company is expensive, and in some cases it can cost as much if not more per day than the daily rental charge, in effect doubling your rental cost. Ouch! One thing to look out for when buying coverage through the rental company, is that all expenses might not be covered by the policy. For example, be mindful of what the deductible will cost. It can be in the thousands in many cases, and depending on the country, for example, in Australia deductible can be up to $5000. Granted the rental companies often have a premium version of the coverage which can drop the deductible to zero. But of course, this potentially adds substantial cost to the overall rental. One of the newer options is an actual an insurance policy with a twist. It’s called “car rental damage insurance or rental vehicle protection insurance” and effectively acts to reimbursement you for any charges incurred due to damage or loss of the rental car. Such policies normally cover between $25,000 and $40,000 in damage which is usually enough to cover the total replacement of a standard rental car. You can expect to save a lot of money with this option with policies starting from $7.99 per day. 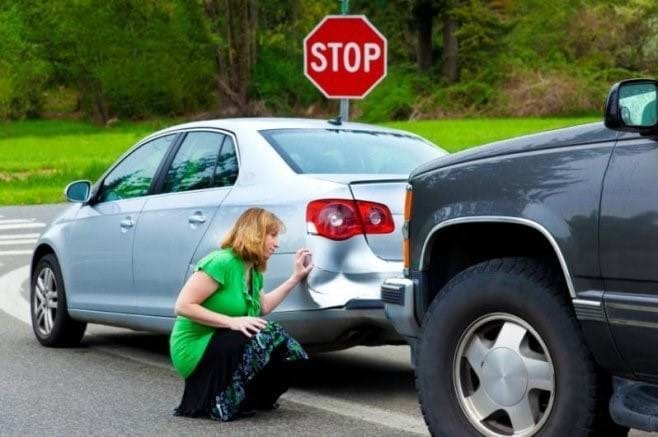 Keep in mind however that if you caused say $5,000 damage to the rental car, the rental company would deduct that $5,000 from your credit card and then the insurance company would reimburse the $5,000 normally within a couple of weeks. One thing to keep in mind with this option, is when renting a higher class of car, such as a sports or luxury rental car, this level coverage may not be sufficient to cover the total write-off of the rental. We encourage you to take the time to thoroughly research all of your options for your car rental insurance, and select what makes best sense to you both from a financial and coverage perspective.